So, what does irrigation maintenance entail? There are a variety of key components that lead to a healthy and well-kept lawn, and making sure your irrigation system is up-to-scratch is a massive part of the equation. Keeping your irrigation system on a regular, seasonally-optimised schedule will save money over time, as well as helping your lawn and plants stay beautiful. Whether you have an automatic sprinkler system or not, sticking to a watering schedule is key. In Perth we are allow to give 10mm of water twice a week to our gardens (3 times if you are a bore user). In Perth you need to be watering in the early morning before 9am or after 6pm in the evening when temperatures are lower and there will be less water evaporation and lower winds. Avoid night-time watering! This can cause overwatering as the lawn may not be able to keep up without sunlight and evaporation. Water two to three times a week. Each month you may have to adjust how much you are watering. In winter you won’t need to water as much, but many people leave their summer watering schedule in place and waste a lot of water, as well as over-watering their poor plants and lawn. If you aren’t sure, get a professional in – it will save you a lot of water and time! A main source of irrigation system problems, and often those sad, brown spots on your lawn, are leaks. 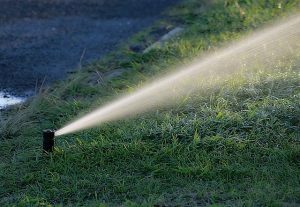 Regularly check all sprinklers, hoses, and faucets, not just for leaks, but to see if they are still watering in an even cover over the full scope of your garden. If the pressure is down due to a leak or problem in the main system, it could be affecting the amount of cover that sprinkler or pop-up can give your lawn. Not only will leaks cause under or overwatering, but they will also increase your water bill dramatically! Installing direct downspouts to cause runoff from rain gutters also helps. The precipitation can also be a great way to save money, as using collected rainwater in dry spells. By paying attention to your garden and observing any dry spots or plants that aren’t doing as well as they should be, you should be able to catch any problems that arise pretty quickly. If you suspect something is wrong but can’t figure out what, call a professional quickly to save a lot of water and money, as well as any further damage to your system or plants. Believe it or not, mowing your lawn is a part of irrigation maintenance! To maintain proper irrigation, do not mow your grass too short. Often, this can cause the grass to not be able to shade itself properly. The roots then become dry and energy will be spent more on growing more leaf blades. Keeping your lawn at 2 to 3 inches can help reduce the need for watering. Taking off more than one-third of grass at a time can turn your whole lawn brown eventually! 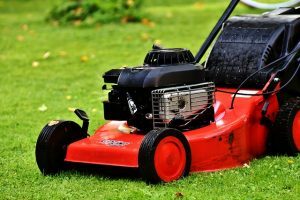 With pop-up systems, make sure that you or whoever mows your lawn is aware of exactly where they are located – we have been called out to fix more than one accidental sprinkler decapitation! 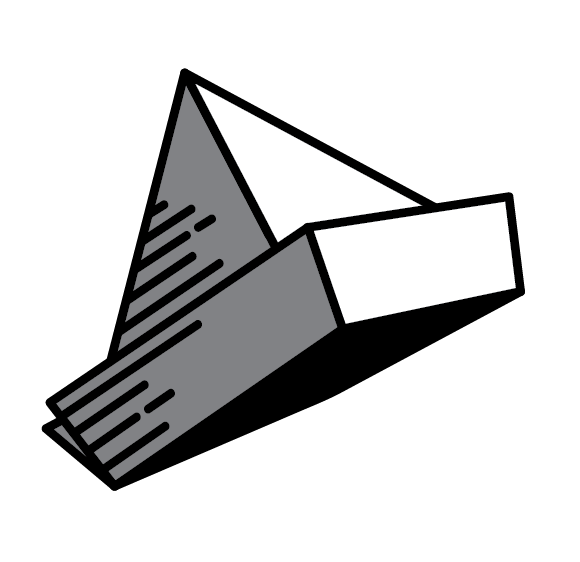 If you have pop-ups located on your verge, tell family and friends not to park there, or place a white painted rock or other marker near-by to avoid any unfortunate incidents. Drip-line systems are great for unobtrusive watering and often don’t require the amount of fixing pop-ups do, as they stay out of the way. Just be aware that if there is heavy rain or stormy weather they can sometimes become exposed when dirt washes away and become more vulnerable to damage. We understand that keeping your irrigation maintenance system in good shape can take time. That’s why we can take care of it for you with our irrigation maintenance services. Getting your system installed by a professional saves time and money in the long-run, and you know that everything has been optimised so you can get the most value out of your watering system. 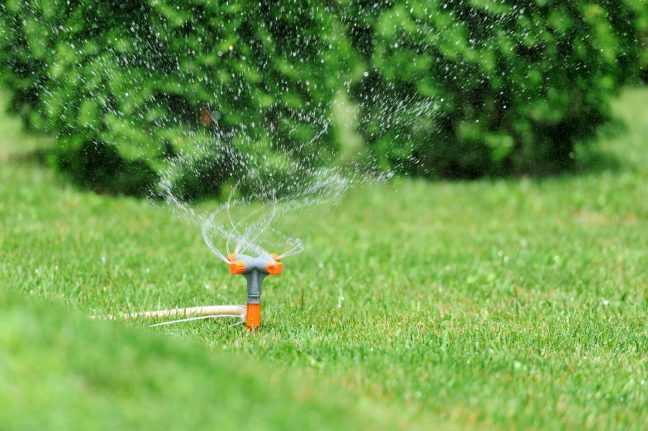 At Perth Reticulation Experts, our team is dedicated to helping you keep your irrigation system functioning properly, so you can grow a lush, green garden. Contact us for irrigation repairs, installation or seasonal checks – our experts will get the job done right the first time and then set it up properly so you don’t have to think about it! Don’t forget to check out our gardening blog to keep up with gardening and lawn tips.